OxyContin is the most well-known brand name of the drug Oxycodone. Oxycodone is an opioid medication, which is prescribed for the relief of moderate to severe pain. It is usually taken orally, with both immediate release and controlled release versions available. In certain markets, it is also available as an injection or administered intravenously. Some oxycodone medications combine the opioid with other drugs (e.g Percocet contains oxycodone and acetaminophen) while others are pure oxycodone. There are many factors that dictate how long OxyContin remains in your system — as a result, the answer will differ from person to person. An important fact to recognize is that the drug will stay in your system far longer than you stop feeling its effects. Generally, OxyContin is claimed to provide pain relief for up to 12 hours. However, when abused, the ‘high’ is much shorter. Taken orally or smoked, the high lasts about 2 to 6 hours, while the effects of snorted OxyContin can last as little as 20 minutes. The amount of time Oxycontin can be detected in the system, however, is greater by many magnitudes. In general, after being taken, the drug can be detected in the blood up for up to 24 hours; in saliva for 1 – 4 days; in urine for 3 – 4 days; and in hair follicles an astounding 90 days (3 months). These are all estimates, however, because the true length of time the drug stays in any one individual’s system depends on a host of factors. These include the person’s race, age, genetic makeup, body mass, overall health condition and specific illnesses, level of physical activity and the volume of OxyContin consumed, among others. Perhaps the most important factor, though, is the person’s metabolism rate. As with all drugs, the rate at which it is metabolized varies from one individual to another. This figures heavily into the danger of overdose — in some people, OxyContin can metabolize so slowly that a single dose that will barely affect one user will result in toxicity high enough to result in a fatal overdose for another. This is actually important information to know when it comes to recovery. For instance, there is an excellent treatment called Vivitrol that has proven to be a very effective tool in opioid addiction recovery. However, it is imperative that all traces of OxyContin or other opioids are out of the system before beginning this treatment. As previously mentioned, OxyContin is actually a brand name and specific preparation of the drug Oxycodone. Oxycodone comes in many forms and under many brand names. However, over time, OxyContin has become a proprietary eponym — the brand name has become a general way to describe the class of drug oxycodone. This has proven to be extremely dangerous — OxyContin tablets can be many times more powerful than other oxycodone-containing drugs. On many an occasion, overdoses have occurred due to users who are used to a weaker preparation of the opioid taking OxyContin in similar doses as they would the other drug. The makers of OxyContin are the pharmaceutical company Purdue Pharmaceuticals L.P., better known as Purdue Pharma. The privately owned company was founded in New York, New York in 1892, and is now headquartered in Stamford, Connecticut. 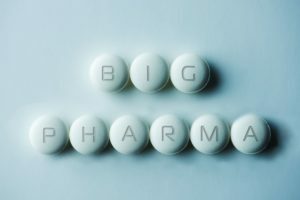 The company is focused on pain management medication, and it is best known for their production of OxyContin and MS Contin. Their medications contain opioids such as oxycodone, codeine, fentanyl, hydrocodone, and hydromorphone. The company has been the source of much controversy, and have had numerous lawsuits levied against them charging deceptive marketing and misleading the public about their products’ risk of addiction. In addition, cities and states have sued Purdue Pharma demanding millions in compensation for their costs in treating the epidemic of abuse of their products. Purdue Pharma has likely paid out close to $1 billion in fines and settlements including a record-breaking $630 million fine in 2007 — however, critics complain that this is just a fraction of the more than $31 billion dollars in revenue acquired since introducing the drugs in question. OxyContin has a shelf life of 3 years. OxyContin pills are, for the most part, very innocuous in appearance. The most iconic image of the drug is the 10 mg variant, a plain white round pill with “OP” stamped on one side and “10” on the other. However, there are a slew of differing dosages, and it is wise to be familiar with them all and their distinct appearances. Older pills are stamped with “OC” on one side, and the dosage on the other. Newer, crush-resistant pills have an “OP” on one side instead of “OC.” The following list includes dosages not readily or no longer available, for completeness’ sake. All pills are coated due to OxyContin’s ‘control release’ formula — and with the new pills, a tamper-proof coating is also added. In terms of active ingredients, OxyContin contains only the drug oxycodone. However, all pills contain additional inactive ingredients including butylated hydroxytoluene (BHT), hypromellose, polyethylene glycol 400, polyethylene oxide, magnesium stearate and titanium dioxide. Furthermore, the different strength pills contain different coloring agents. For example, the pink 20mg pill contains polysorbate 80 and red iron oxide, the yellow 40mg polysorbate 80 and yellow iron oxide and the green 80mg hydroxypropyl cellulose, yellow iron oxide and FD&C Blue #2/Indigo Carmine Aluminum Lake. Oxycontin is incredibly addictive — it has been called one of the most addictive drugs in history. Critics point out that one of the main problems with OxyContin is that even when used as suggested, the drug can throw the user into the throes of addiction. When it was released, one of the main selling points was OxyContin would relieve pain for up to 12 hours thanks to its controlled-release formula. This was an unheard length for serious pain relief, and the pills sold in droves. However, it soon became clear that this number was inflated for individuals in many circumstances. As a result, legitimate users would need to take pills more often for pain relief. Soon, shorter and shorter periods of pain relief would be joined by intense cravings for the drug — and the once-responsible user would now be addicted. There is also another danger for legitimate users — those not given proper guidance who attempt to immediately stop taking the drug when it is no longer needed may find themselves experiencing withdrawal symptoms. To alleviate these terrible symptoms (discussed below), they may go back on the drug – and soon become completely addicted. That attraction to OxyContin as a recreational drug lies in its opioid nature. When taken in situations where there is no pain, the drug does not bind to the pain receptors in the brain as designed. Instead, it creates a euphoric high, much like another opioid: heroin. And while swallowing a single tablet may provide this rush the first few times, an individual soon builds up a tolerance, and the relatively small amounts released over time no longer provide the high being sought. More drastic methods of delivery must then be found — and in its original formula, OxyContin was shockingly easy to abuse in this way. By simply chewing the old OxyContin tablets, it’s controlled-release system was destroyed, providing a much quicker and more intense effect. Crushing or grinding the tablet created a fine powder perfect for snorting, and it could also be dissolved in water and injected. 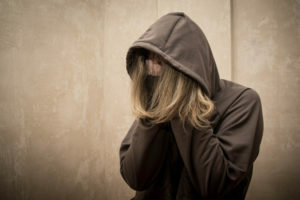 Abusing the drug in this way not only provided powerful highs, but also intense addictions and withdrawal symptoms that ensured a cycle of use to satiate both cravings that were impossible to ignore and terrible withdrawal symptoms. And while the new formula has made crushing them into powder and dissolving them more difficult, abuse of the pills continues due to the severity of the addiction they create. One of the most difficult habits to ‘kick,’ opioid addiction generally requires treatment at experienced opioid addiction treatment centers. OxyContin is prescribed for the management of moderate to severe acute or chronic pain. Common uses include post major surgery pain, pain due to major traumas and cancer pain. 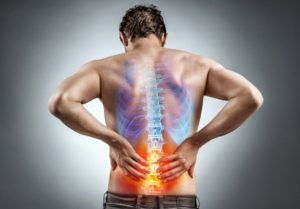 Some professionals argue that its use should be avoided for anything other than cancer-related chronic pain, as there is a high potential for dependence or outright addiction. Some studies suggest powerful opioids like oxycodone can cause unrelated pain sensitivity. What Are the Symptoms of OxyContin Withdrawal? Experts take pains to point out the practice of referring to opiate withdrawal as comparatively mild is a dangerous one, as people can and have died during unsupervised opiate withdrawal, mostly due to dehydration following severe vomiting and diarrhea. A person’s mental state during OxyContin withdrawal is always of concern as well. What Are Some OxyContin Street Names? What Are Some Important OxyContin Statistics? By the early 2000s, officials were already scrambling to try to contain what would soon come to be known as ‘The Opioid Crisis.’ Letters to OxyContin maker Purdue Pharma and the Federal Government showed real desperation as medical professionals and state officials talked about seeing a rate of addiction and overdose “never seen before.” Sadly, it has only gotten worse, especially among younger individuals, as statistics throughout the years clearly show. A Blue Cross Blue Shield analysis of its members found that from 2010 to 2016, the number of people diagnosed with an addiction to legal and illicit opioids climbed 493 percent. In 2006, the DEA reported doctors wrote 7.6 million prescriptions for OxyContin and similar controlled-release products. The 2013 National Survey on Drug Use and Health showed that people aged 18-25 were the most likely to report ever having abused oxycodone (9.9%). The Monitoring the Future Survey, funded by NIDA, found that about 1 in 30 high school seniors has abused OxyContin at least once. A 2007 report by the Office of National Drug Control Policy said that prescription drug abuse is the second most common kind among 12- to 17-year-olds (after marijuana). Of these prescription drugs, OxyContin and Vicodin are the most popular. Nonprescription OxyContin use jumped from 4 percent in 2002 to 5.2 percent in 2007 among 12th graders. The New York Times reported that NY experienced an 82% rise in prescriptions for OxyContin in 3 years. One Florida network of privately owned pain clinics sold $40 million in oxycodone pills over the course of 2 years. 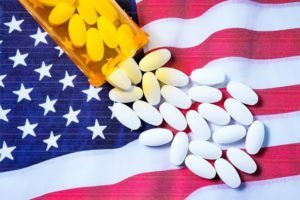 The Substance Abuse and Health Services Administration reported that in 2010, 182,748 visits to emergency rooms across the United States were the result of use or misuse of oxycodone products including OxyContin. The New England Journal of Medicine published a 2012 study that found 76% of those seeking help for heroin addiction began by abusing pharmaceutical narcotics, primarily OxyContin. From 1995 to 2001, the number of patients treated for opioid abuse in Maine increased by 460%. From 1997 to 1999 a 400% increase in the number of chronic hepatitis C cases was reported in the same state (widely attributed to intravenous opioid use). In Eastern Kentucky, there was a 500% increase in the number of patients entering methadone maintenance treatment programs from 1995 to 2002, about 75% of whom were OxyContin dependent. Prescription opioids are now ahead of cocaine and heroin as abused drugs, second only to marijuana. In 2001, OxyContin had become the most frequently prescribed brand-name opioid in the United States for treating moderate to severe pain. By the next year, mortality rates from drug overdose had climbed dramatically, and unintentional overdose deaths from prescription opioids had surpassed those from heroin and cocaine nationwide. More than two dozen states, cities and counties have sued OxyContin maker Purdue Pharma, the latest being Colorado, who reported 373 pharmaceutical opioid painkiller-related deaths last year. 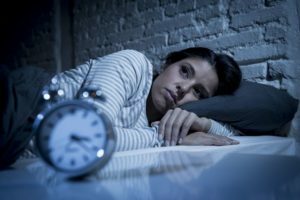 How Can I Recognize the Signs and Symptoms of Addiction? If you see any of these symptoms, suspect a loved one may be abusing OxyContin, or are addicted to the drug yourself, please contact us at Riverside Recovery Center today. Offering specialized programs for each individual, and services including family programs, resources for employers and legal support services, we begin with a complementary consultation as the first step to a life free from the pain of addiction.